This playground has a kids play structure with a sand area. 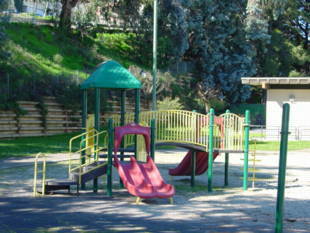 There are also grass and concrete surfaces with a basketball court to play around. 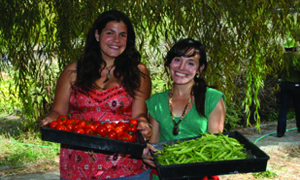 Restrooms are available on site and there are picnic tables to enjoy lunch on. 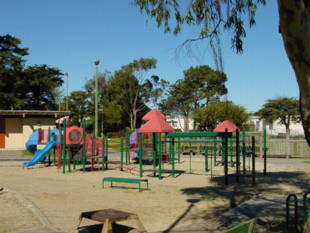 Gilman Playground is owned by the San Francisco Recreation and Park Department. T-Third Street or 29-Sunset -- 3rd St. and Paul stop. Walk four blocks on Gilman to the park. Gilman Ave. and Griffith St.